Protect Your Commercial Space With Through Wall Flashing | Adriatic Restoration Corp. It is important to protect your commercial property, hi-rise or condominium against the elements so that changing temperatures and moisture cannot damage the structure. Through wall flashing in NJ is an excellent way to prevent potential damage to your commercial space if done properly by a professional. • Diverts moisture that may be trapped in the walls by sending it outside. • Strategically placed by professionals in the walls where there is potential for water damage. • Prevents leaks as well as the deterioration of the walls. Through wall flashing is highly effective, but may not be ideal in places that have earthquakes. However, if your commercial property needs a trusted method of protecting against trapped moisture in the walls and leaking, contact a local professional soon to find out more about through wall flashing in NJ for your commercial space, hi-rise, or condominium. 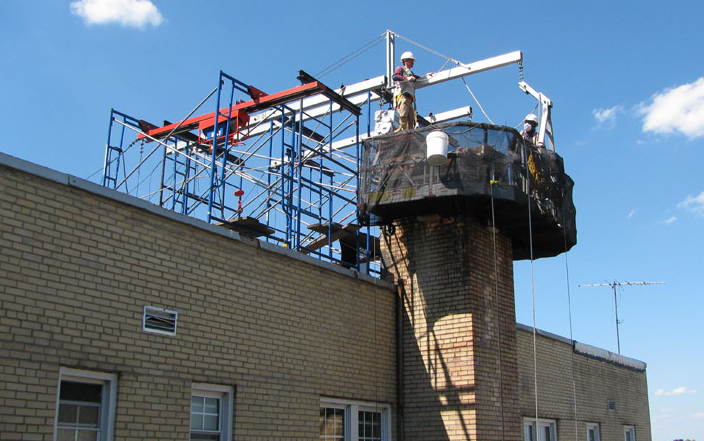 Adriatic Restoration have the experts that are also skillfully adept at performing brick wall installation, or brick staining projects for commercial buildings, condominiums, office buildings, or commercial properties in New Jersey. Our company works efficiently and professionally in Thru-wall flashing and Lintel repair and replacement preventing any further damage.